A lie. It’s all been a lie. Now she has to run. Screw that. 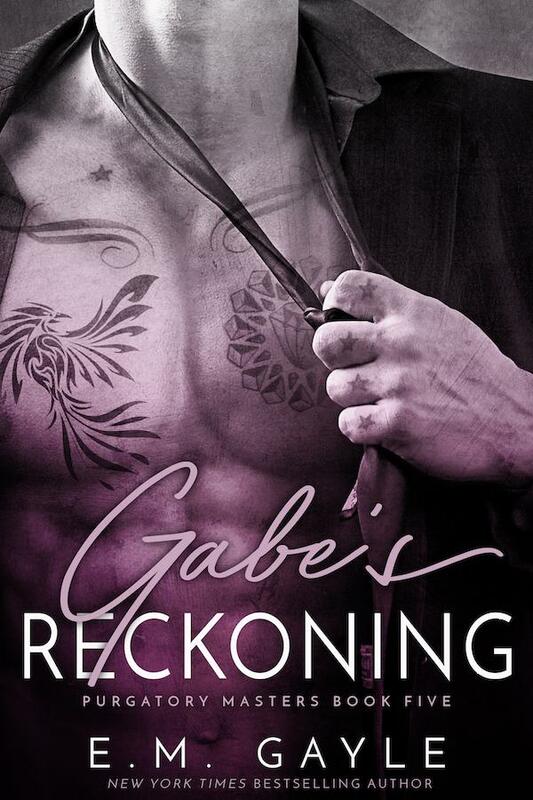 Gabe has staked his claim and hell if he’s going to let that go. She. Is. His. She can run, but she sure as hell can’t hide. If she’s gone, then so is he. Purgatory can go to…well, hell. Nina should have read the prenup they signed a little closer. He made it clear he didn’t want her money, but he also made it crystal that she belonged to him in ways she hasn’t even thought of yet. And who their parents are doesn’t change one damned thing. Neither does murder. If she’s got blood on her hands he DOES NOT care. But the lies DO have to stop. One way or another this family has to come clean. Even if it costs them everything.